Niles West competed at the Trevian Invitational hosted by New Trier High school on October 6 and 7. Niles West sent six teams. Sarah Waters and Nadia Firozabadi and Dylan Chikko and Hannah Kim had prelim records of 4-2 and finished as Double Octafinalists. Ephraim Bennett and Dulguun Bat-erdene, Loredana Lohan and Eliana Bender, and Freskida Sejdiu and Penelope Alegria all had prelim records of 3-3. Other debaters competing in the Varsity division included Nicholas Whalen and Jude Kintner. From October 18 to October 21, Niles West sent two Varsity teams and two JV teams to compete at the St. Marks School of Texas in Dallas. Nadia Firozabadi and Sarah Waters had a prelim record of 4-2 and finished as Double Octafinalists in the Varsity division. Ephraim Bennett and Dulguun Bat-erdene had a prelim record of 4-2, yet failed to clear on speaker points in the JV division. The other debaters competing were Dylan Chikko, Hannah Kim, Pal Patel and Abhi Shah. 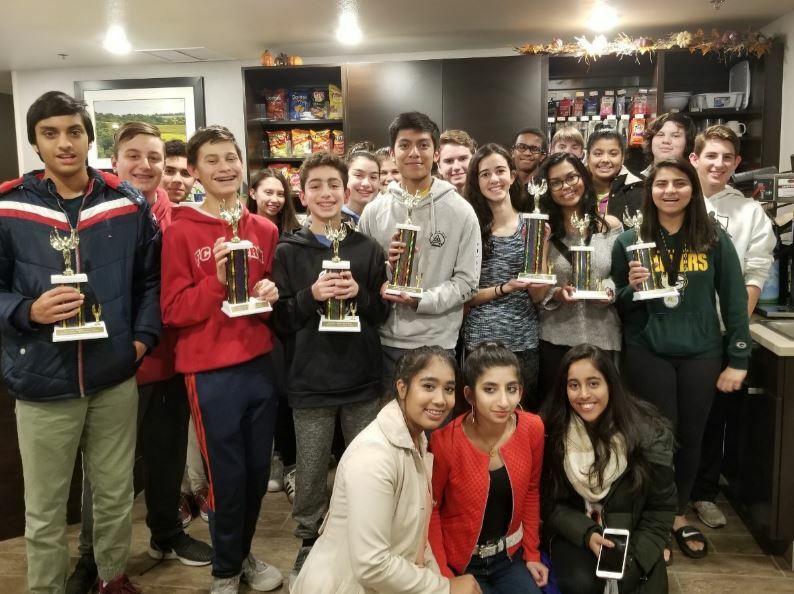 Niles West Debate traveled across town on October 20 to compete at the Niles North Vikings Rumble, sending three JV teams and 11 novice teams. In the JV division, Dulguun Bat-erdene & Ephraim Bennett placed 5th best team. Other debaters competing in the JV division included: Sebastian Chirayil, Hannah Paul, Sheridan Witko, Abhi Shah, and Pal Patel. In the Novice divisionAli Nawaz & Jacob Berkowitz placed 9th, Randall De Vera Celina Saba placed 10th, Trevor Bell & Jacob Chepulis placed 12th. Jacob Berkowitz won 4th speaker, Ali Nawaz won 13th speaker, Celina Saba won 15th speaker, Jacob Chepulis won 16th speaker, Sumehra Taj won 17th speaker, and Socrates Hwang won 19th speaker. Other debaters competing in the novice division included Alexia Ardelean and Lizzy Kempf, Josip Basan and Kareem Dibs, Socrates Hwang and Sultan Mamoon, Saima Rahman and James Knott, Thomas Ramirez and Mohtadi Syed, Emily Suh and Katelin Chong, and Orimoloye Williams-Reneau and Murphy Meave Holleran. 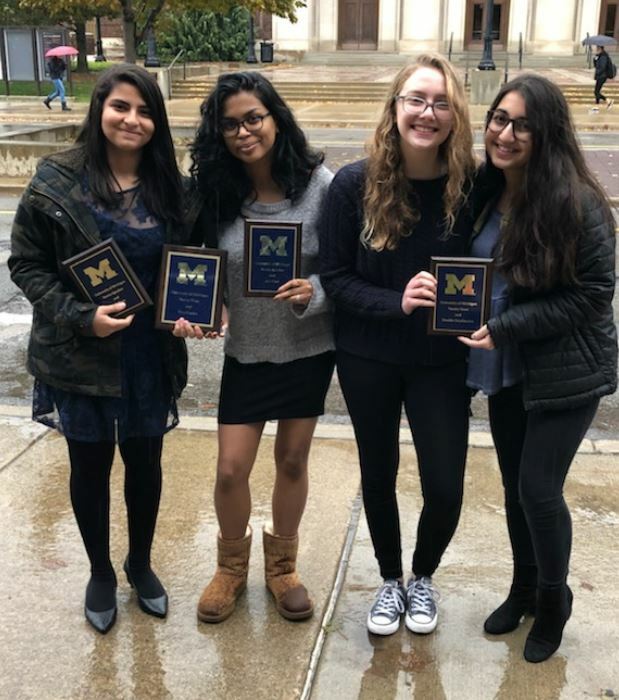 Niles West competed at the University of Michigan tournament from October 26 – October 28, sending seven Varsity teams and nine Novice teams. Varsity debaters Nadia Firozabadi and Sarah Waters had a prelim record of 5-2 and finished as Double Octafinalists. Other debaters competing were: Ephraim Bennett, Dulguun Bat-erdene, Sebastian Chirayil, Adem Memidzan, Dylan Chikko, Nicky Whalen, Abhi Shah, Pal Patel, Hannah Kim, Freskida Sejdiu, Josh Solorio, and Jude Kintner. 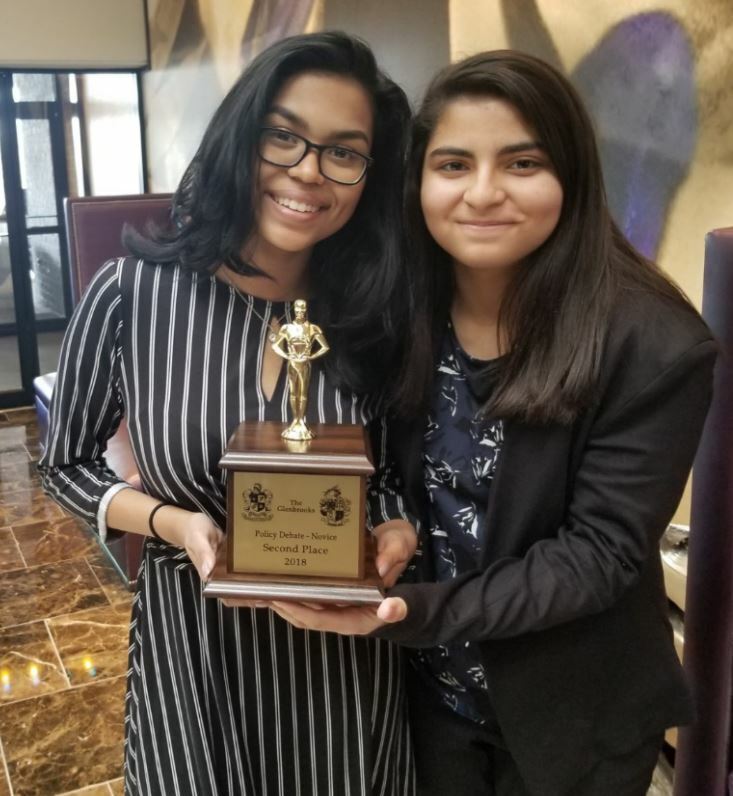 Novice debaters Misbah Ali and Sumehra Taj had a prelim record of 4-3 and finished as Octafinalists. Other debaters competing in novice included Kareem Dibs, Josip Basan, Randall De Vera, Celina Saba, Emily Suh, Katelin Chong, Thomas Ramirez, Mohtadi Syed, Alexia Ardelean, Lizzy Kempf, Murphy Meave Holleran, Orimoloye Williams Reneau, James Ryan, Jerry Mendheim, Mateja Niketic, and Bella Prutus. Four Varsity teams competed at the Notre Dame Damus Invitational on November 2 through 4. Nadia Firozabadi and Sarah Waters finished as Double Octafinalists, along with Freskida Sejdiu and Hannah Kim, both with prelim records of 4-2. Other debaters were: Jude Kintner, Nicky Whalen, Ephraim Bennett, and Dulguun Bat-erdene. Nadia Firozabadi and Sarah Waters competed in a highly competitive Round Robin at the University of Southern California in early November. Nadia Firozabadi placed 2nd speaker and Sarah Waters placed 5th speaker. Niles West Debate Novices won the Bettendorf Bulldog Tournament held November 9 and 10. Nine teams went, and three teams advanced to elimination rounds: Randall De Vera and Celina Saba, Josip Basan and Kareem Dibs, and Misbah Ali and Sumehra Taj. Aly Lipsit and Mohatadi Syed placed 7th overall. Ali and Taj finished as Semifinalists, while De Vera and Saba and Basan and Dibs both made it to finals, successfully closing out the tournament and winning the championship. Misbah Ali received 2nd speaker, Sumehra Taj received 3rd speaker, Celina Saba received 5th speaker, Josip Basan received 7th speaker, Kareem Dibs received 8th speaker, and Randall De Vera received 10th. Also debating at the tournament: Ali Nawaz, Jacob Berkowitz, Trevor Bell, Jacob Chepulis, Mateja Niketic, Orimoloye Williams-Reneau, Drashti Patel, Warisha Amir, Saima Rahman, and James Knott. Finally, Niles West competed at the Glenbrooks on November 17 through November 19 at Glenbrook North. Niles West sent seven teams, three Varsity, two JV, and two Novice teams. In the Varsity division, Nadia Firozabadi and Sarah Waters and Freskida Sejdiu and Hannah Kim finished the prelims with records of 4-3. In the JV division, Dulguun Bat-erdene and Ephraim Bennett finished 12-2. In the Novice division, Randall De Vera and Celina Saba finished 11-3 in prelims, and Misbah Ali and Sumehra Taj finished as Finalists by going 12-2 in preliminary rounds and winning their semifinals debate.